We get daily reports from returning anglers who can inform you when a particular lake is hot! In most cases, there are only 2-3 boats on the entire lake for the day. 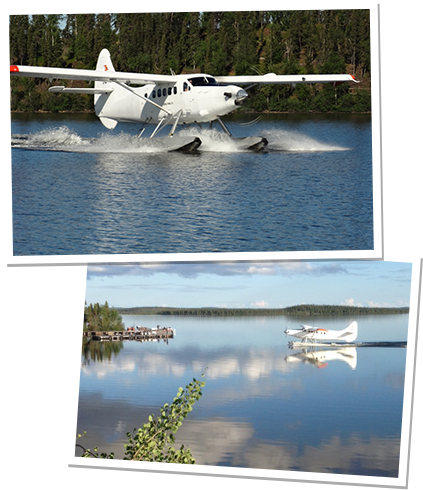 ​Click the Map below to view all the surrounding lakes. Our tackle shop is located in the back of the lodge, behind the lounge area. We offer a great selection of lures that have proven effective on our waters. The tackle shop is open during meal hours and all prices are in U.S. Dollars. Additional charges during your stay will be added to your “tab” and paid for the evening prior to your departing day. Rod and Reel Rental ** $25/day/rental – We ask that you pre-book your rod and reel rentals 30 days in advance. We carry spare spools of fly line and a very complete selection of fly patterns for Arctic Grayling and Northern Pike. Let us know if you have fly fishing needs and we will do our best to accommodate you. 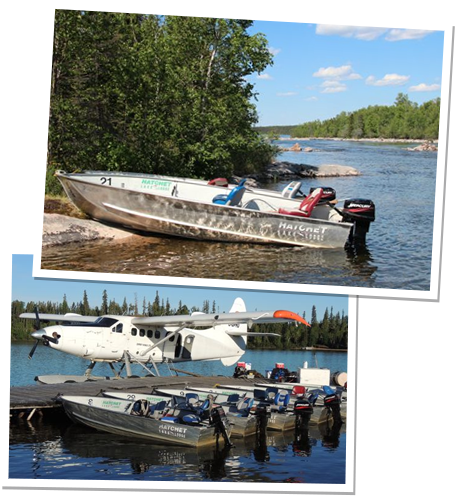 Come to Hatchet Lake to experience some of the hottest fly fishing for Northern Pike and Arctic Grayling to be found anywhere! 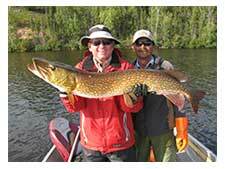 ​All fishing tackle rented at the lodge must be booked 30 day in advance of your arrival. Rods: 6’-7’ Medium-heavy action spinning for baitcasting rods. Lures: Northern pike will hit a variety of lures such as Rapalas, Doctor Spoons, Dare Devils, Five-O-Diamonds, bass spinnerbaits, Johnson Silver Minnow, #3#5Mepps Spinners, Suick “jerk baits”, top-water plugs, Sluggo type worms, etc. 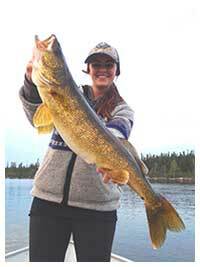 Early in the seasons the same type of lures can be used to catch Lake Trout. 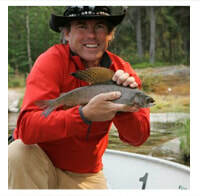 As the season progresses, most trout are caught by vertically jigging 2-4 oz. slap spoons and heavy jigs in 40-70 feet of water. Rods/Reels: 6’ medium action rods with spinning reels spooled with 6-8 pound test mono will do the trick! Lures: Walleye will hit the traditional 1/8-3/8 oz. jigs with Berkley Powerbaits or Mr. Twister type tails, as well as spoons and crankbaits. Rods/Reels: Ultra-light spinning reels spooled with 2-6 pound test mono. Your 4-5 weight fly rod and single action fly reel are also a favorite choice. Lures: Casting small Mepps or Blue Fox spinners (size 0) is very effective. A plastic “bubble” float and dry fly combination also works well when spinners are not producing. Fly Line: Weight Forward or double taper fly lines; 7’-10’ tapered leaders with 3X-6X tippets. Equipment plays an important role in the success of your fishing trip. We have specialists on hand to tune motors on a daily basis to ensure that from the slowest trolling speed to full throttle, your motor is always in peak operating condition.